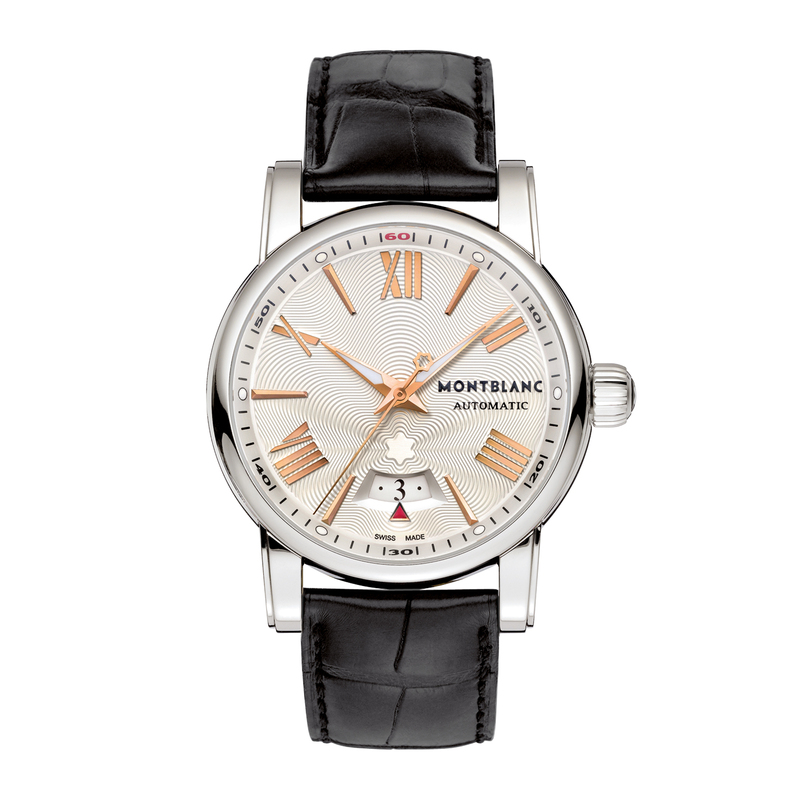 Perfectly pure and sophisticated, the elegant polished stainless steel case of the Montblanc 4810 Date Automatic presents a silvery white dial with star-shaped guilloché engraving and red gold plated Roman indices. A red gold triangle points to the arched date window at six o'clock. A power reserve of 38 hours as well as a black leather strap with a pin buckle add the finishing touch.